Image Size: 19.5 X 11.5 in. No one completes a limited edition cel like the characters of MGM. 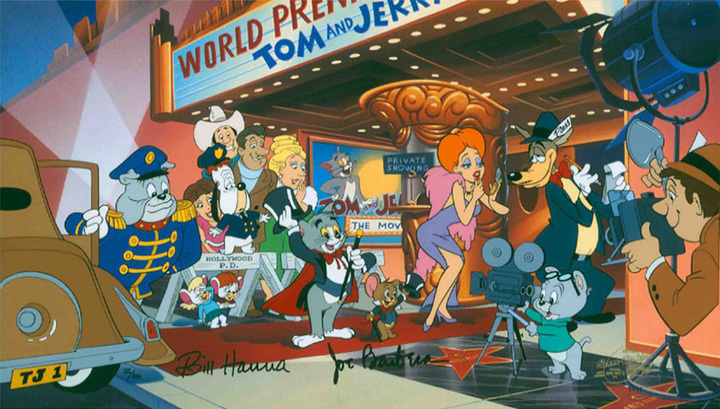 Wild and zany, Droopy, Red Hot, Tom and Jerry touch off this image of an excursion to a Tom and Jerry movie premier with vivid color and action. “The Premier” was silkscreened onto acetate. Each cel and background was then hand-painted, using original Hanna-Barbera colors. Each piece has been signed by Bill Hanna and Joseph Barbera.